Founded in 2001, Medway Security are an independent family-run Security Equipment Wholesaler. We specialise in supplying professional security products required for Intruder Systems, CCTV, Fire Systems and Access Control direct to the trade. We are a Security Equipment Wholesaler, who sell professional security products direct to trade. 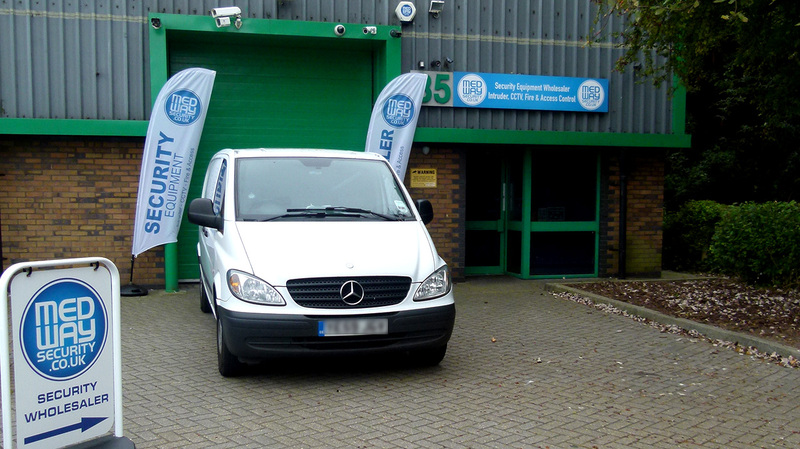 We have branches in Gravesend, Kent and Belfast in Northern Ireland, with a walk-in trade counter at each location. We opened our first branch in Gravesend, Kent in 2001 after recognising the need for a small and friendly security wholesaler who could provide a personal service to security businesses seeking high-quality professional security products. The Gravesend branch is run by Melvin & Vicky Goodin. Alex Weir runs our Belfast branch. We have a friendly and professional approach with many years of valuable experience in the security industry. Have ordered parts in morning and items arrived by afternoon! Orders are always on time and accommodate any unusual delivery requests. Always Helpful staff, orders received on time, queries answered quickly. All-in-all a pleasure to deal with.